With buzz around George Lucas' latest movie, Red Tails, in full swing, I wanted to share some local Tuskegee connections. The National Museum of the USAF at Wright-Patterson in Dayton, OH is the largest museum for the Airforce in the country, with galleries from WWI, WWII, the Cold War and present day. My personal favorite is the gallery from WWII; in one section you will find a whole display dedicated to the Tuskegee Airmen. 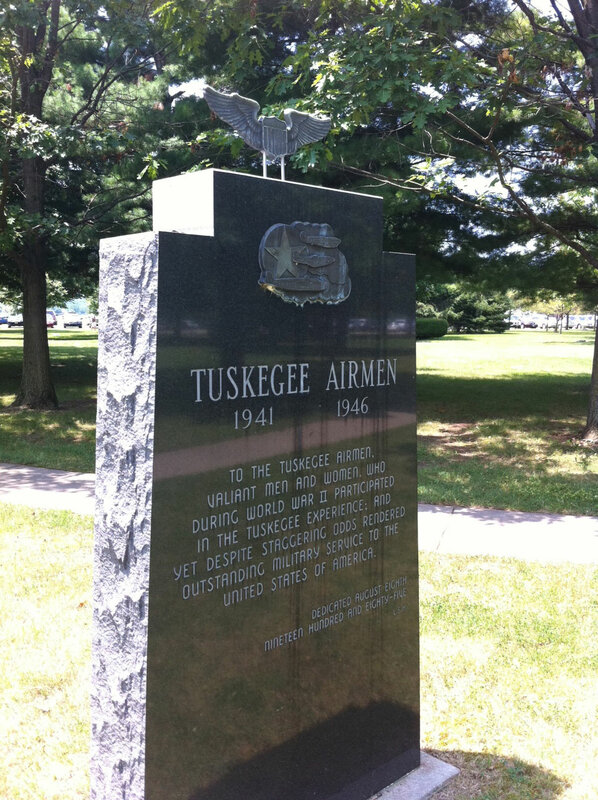 Less known is that there is a Tuskegee Memorial in the park outside the museum. Dedicated in 1985, it commemorates the airmen of 1941-1946. If you have a chance to visit the museum, be sure to check out the monument outside.